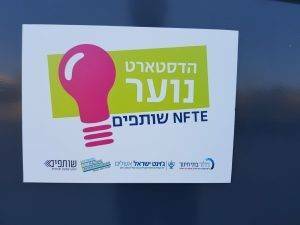 The NFTE programme recently held its “Youth Headstart” event, comprising some 20 presenting teams from schools across Israel, including several teams from Israel Sci-Tech Network schools. 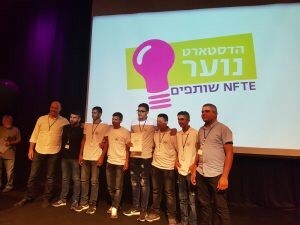 The teams presented their business initiatives in front of the realization fund committee, comprised of “Partners of NFTE Israel”, which rewarded the top initiatives with a 5,000 NIS grant. 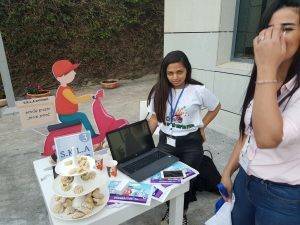 The event also included an initiative fair, which was attended by many guests, including business people from both private and social sectors. 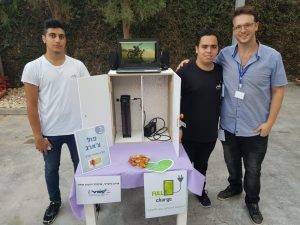 “Full Charge” by Sci-Tech Miterani, Holon – a concept for a charging station for electric bikes. “S.K.L.A Deliveries” by Sci-Tech Wadi Sallama – an all-purpose delivery service for small businesses. 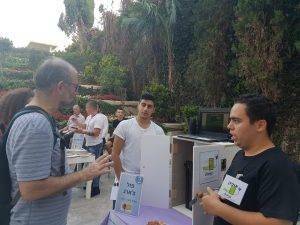 “Field Deliveries” by Sci-Tech Umm Batin – a food delivery service for mobility-challenged populations in Umm Batin village. 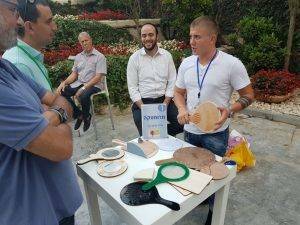 “MaroMatka” by Sci-Tech Marom, Acre – a multipurpose Matka (beach tennis racquet), which addresses various needs that may arise while playing and lounging on the beach. 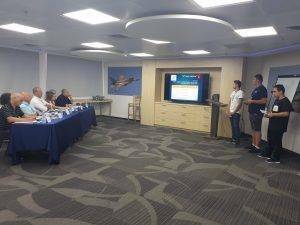 Three teams won realization grants, including the team from Sci-Tech Umm Batin High School! 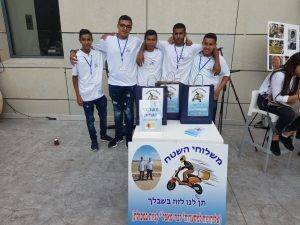 Early in the next school year, the investment committee is due to meet and decide which of the three teams will represent Israel in the annual, international contest to be held in New York. 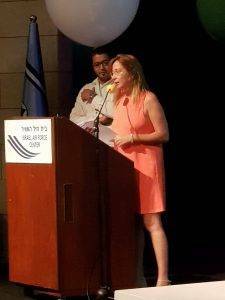 The moving closing ceremony, hosted by the journalist Oshrat Kotler, brought to the limelight a fair share of teachers and students from the Israel Sci-Tech Network, past and present: Dudi Alon from Sci-Tech Miterani, Holon, who received the programme’s Best Teacher Award for this year, walked up to the stage together with Abdallah Alriati, a student at Sci-Tech Umm Batin, and with programme’s alumna Wazareet, from Sci-Tech Emuna Neve Sara Herzog High School, who won the first prize in 2015 and represented Israel in the international contest.